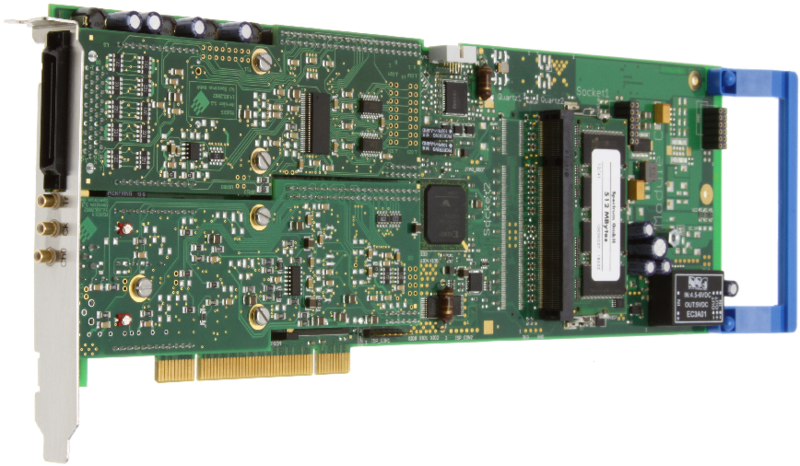 The both cards of the M2i.40x8 series combine fast A/D data acquistion with the feature to acquire digital data in parallel. 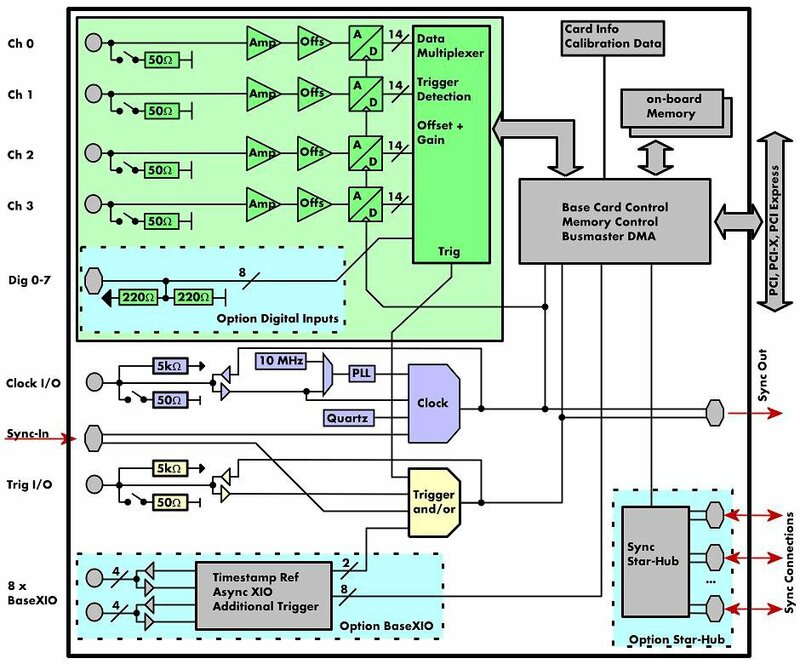 With this feature it is possible to either acquire 16 digital bit in parallel from one or more angle decoders or acquiring one or two encoder signals directly by using internal counters. Digital data is either stored continuously and synchronously with the analog data or as an angle marker with each data segment (Option Mutliple Recording needed).